Fyre Festival has been the victim of relentless online bullying over the weekend as reports of the terrible ‘luxury’ festival spread across the internet. The two-weekender festival was supposed to take place in the Bahamas with the likes of Major Lazer, Disclosure and Skepta performing. Tickets cost a minimum of $1,000 and up to $12,000. The event has been postponed after guests turned up to the festival site which was in a dire condition. There were reports of no running water and a catering service that only supplied bread, cheese and soggy salad. Suffice to say, social media has been making a meal of mocking Fyre Festival en masse and all of its attendees. 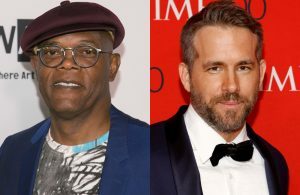 Including the team behind the upcoming action-comedy, ‘The Hitman’s Bodyguard’ starring Samuel L. Jackson and Ryan Reynolds. The movie’s Twitter account had a field day mocking Fyre festival posting clips of the movie with Fyre festival jokes posted over them. It’s shameless marketing but it’s so rare to see the internet actually unite on anything. Read more: Fyre Festival – is this the worst ‘luxury’ festival of all time? Rapper Ja Rule, however, has tried to glaze over the absolutely pathetic festival organisation. Rule organised the event alongside Billy McFarland and has now apologised for the lack of preparation. That said, while the internet is speculating that this was one big hoax to con rich people out of their money, Rule was very explicit in his apology as to say that Fyre Festival “was NOT A SCAM”. Only time will tell since McFarland has now announced that they plan on launching Fyre Festival next year, too. The post Samuel L Jackson and Ryan Reynolds troll Fyre Festival in new Hitman’s Bodyguard promos appeared first on NME.